Even a two year old can make a dog heel! If a two year old can do it, so can you! My two year old grand daughter easily walks this 6 month old Cocker Spaniel that “is impossible to walk on a leash” according to the owners. This exercise took about 5 minutes. 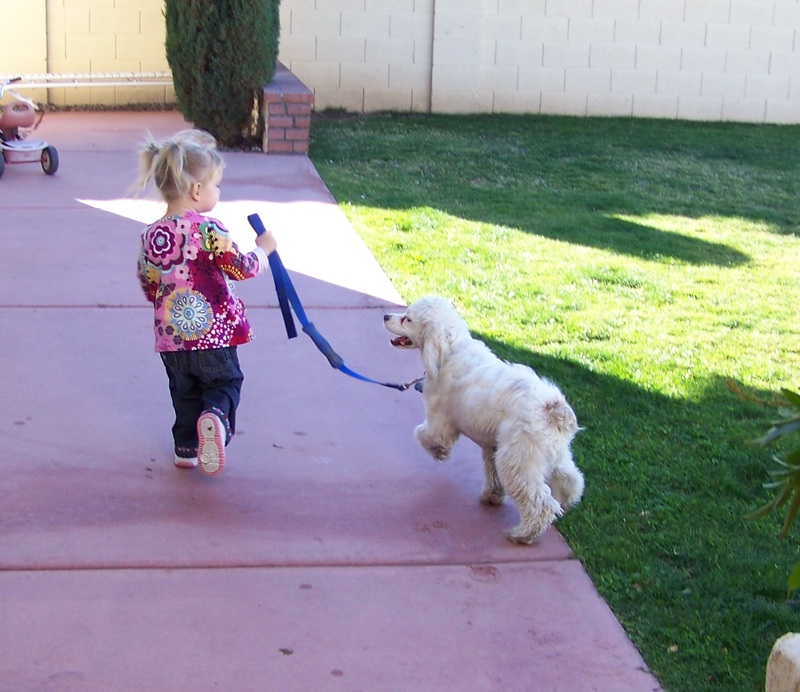 Once again, when the puppy was put into the right “mindset,” he instinctively followed the little girl. 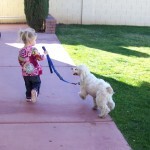 She didn’t know the puppy couldn’t be leash trained. 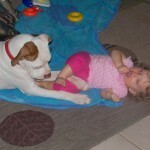 This 9 month old Pit Bull, though not mean, was hard to control. 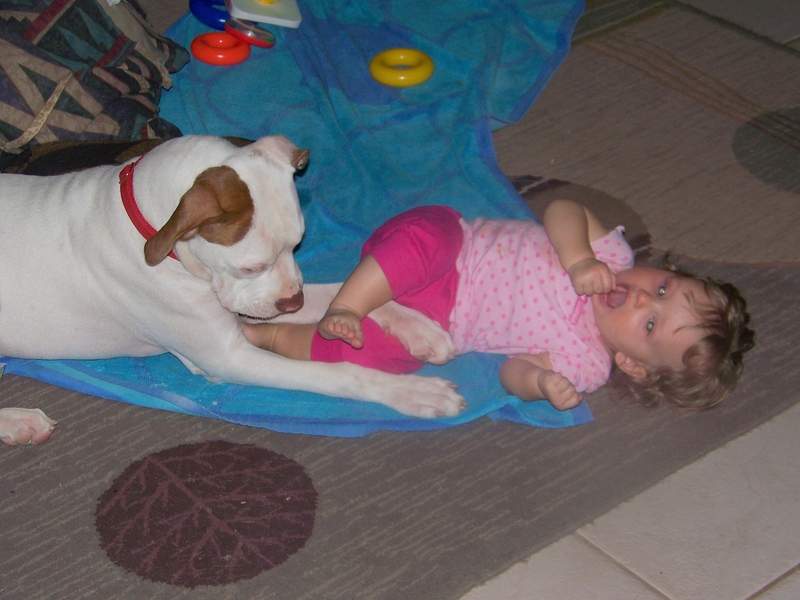 Once the proper relationship was made, and the puppy knew what was expected of him, my one year old grand daughter was in good paws. 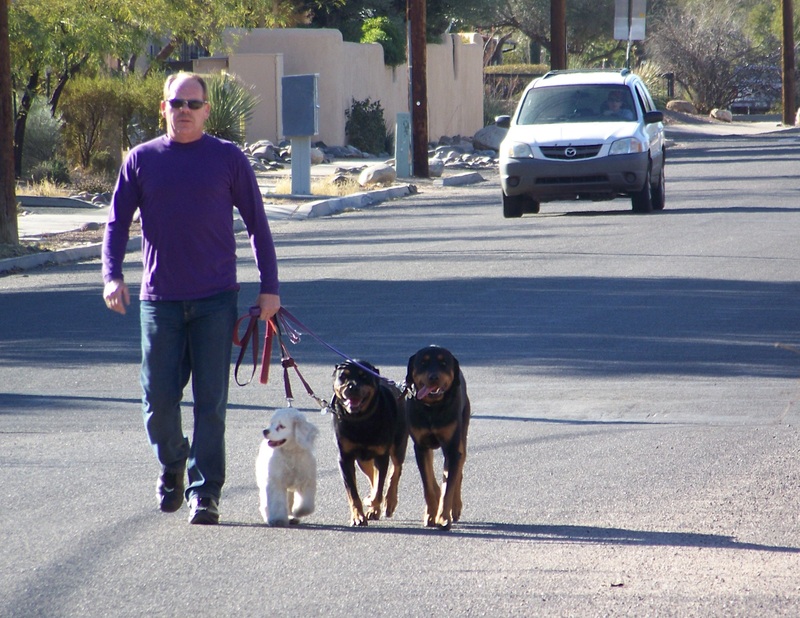 These are the two Boxers (right) deemed “lost causes” by two Tucson trainers because of their severe aggression towards other dogs. After I established in their minds who was in charge, they could relax. Suddenly any need for confrontation with other dogs disappeared. This Cocker Spaniel (right), at first displayed almost a paralyzing fear of my dogs. It was very important to challenge that fear rather than just accept it. 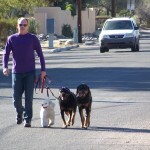 Once the puppy was in the proper frame of mind, he readily accepted and enjoyed walking with my two Rotties. 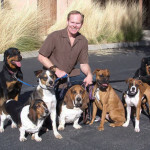 All sizes, breeds and ages. 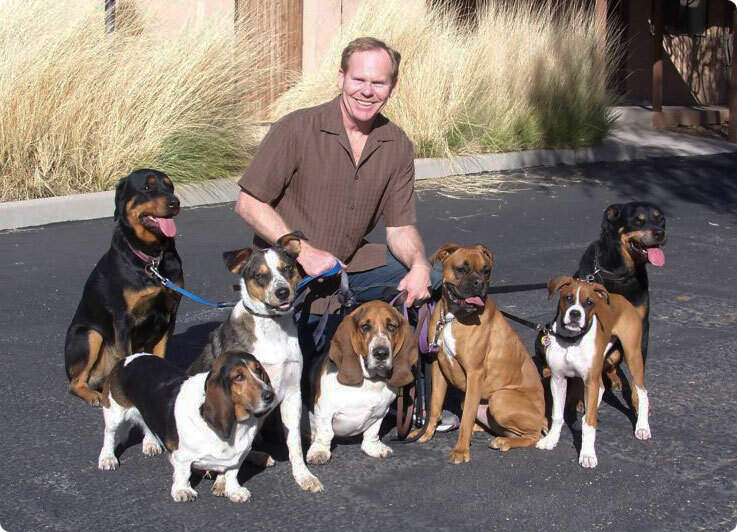 I’ve been a pet dog trainer most of my life, having worked with dogs with behavioral issues since I was 15. 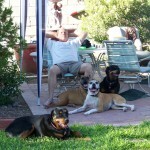 Now, 40 years later, getting dogs to do what I want is almost second nature. 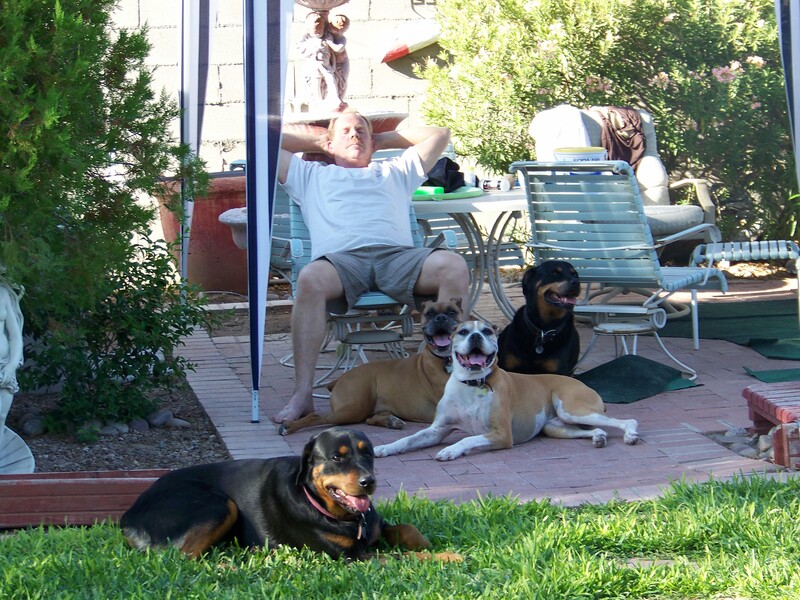 Each of these dogs have their own issues; aggressiveness, over excitement, lack of focus and in the case of the Aussie severe fear of other dogs. You get their attention, you gain their trust, then they listen and respond.